VoIP or Voice over IP is a method of voice communications in an IP network. Worldwide, VoIP is has the highest reliability and availability is optimized. VoIP – Voice over IP network can run both local area network (LAN) or the public internet. Voice over IP is actually based on packet oriented Internet Protocol. VoIP is also known as Internet telephony, voice over broadband (VoBB), IP telephony,broadband telephony, and broadband phone. Previously we have written about Video Conference and Videoconferencing. There are various?existing protocols for?VoIP existing like?MGCP, SIP, H.323, RTP, UDP,?SDP,?RTP etc. 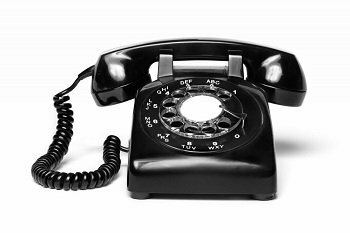 The main differences with VoIP and our usual telephony is the variable quality – usual telephony almost always have a standard sound quality. The first RTP packets are packed into UDP packets are used with an additional IP header. The transfer of technology on the physical medium is then added to a package and is system dependent. This creates an overhead of 54 bytes per packet. However, this overhead is decreased in practice to few by few bytes depending on other variable parameters of that VoIP settings. In other words, VoIP, although looks very easy and consistent technology, in practice VoIP, to some extent has unreliabilities, especially when the quality of sound matters most. Secure calls can be done on VoIP using existing less costly technologies. It can transmit more than one call at one time using a single connection. This Article Has Been Shared 2926 Times! Session Initiation Protocol or SIP is a network protocol for setting up, controlling and terminating a communication session between two or more participants. The term registry bloat means the Windows registry is filled up with obsolete or unnecessary data entries those are useless for Your Windows 7 PC. Hackers in the field of computer security is concerned with breech of security mechanisms and finding their weaknesses. Depending on motivation there are class. Next Generation Network and Next Generation Access Network are network technologies that designed to replace traditional switched telecommunication networks. Cite this article as: Abhishek Ghosh, "VoIP – Voice over IP," in The Customize Windows, January 19, 2012, April 25, 2019, https://thecustomizewindows.com/2012/01/voip-voice-over-ip/.